After a small hitch last night at the airport (Fr. Anthony misread 12:40am as 12:40pm) I finally arrived at the rectory at 2:00 this morning…5:00 my time!! I was very thankful to climb into bed. As someone who doesn’t care much for flying, 3 flights in one day is quite enough! On today’s agenda, Mass in the Cathedral at 10:00 and then Fr. Anthony will introduce me to the rest of the community. Then, he will bring me around Anchorage so I can see where I will be living the next few months. 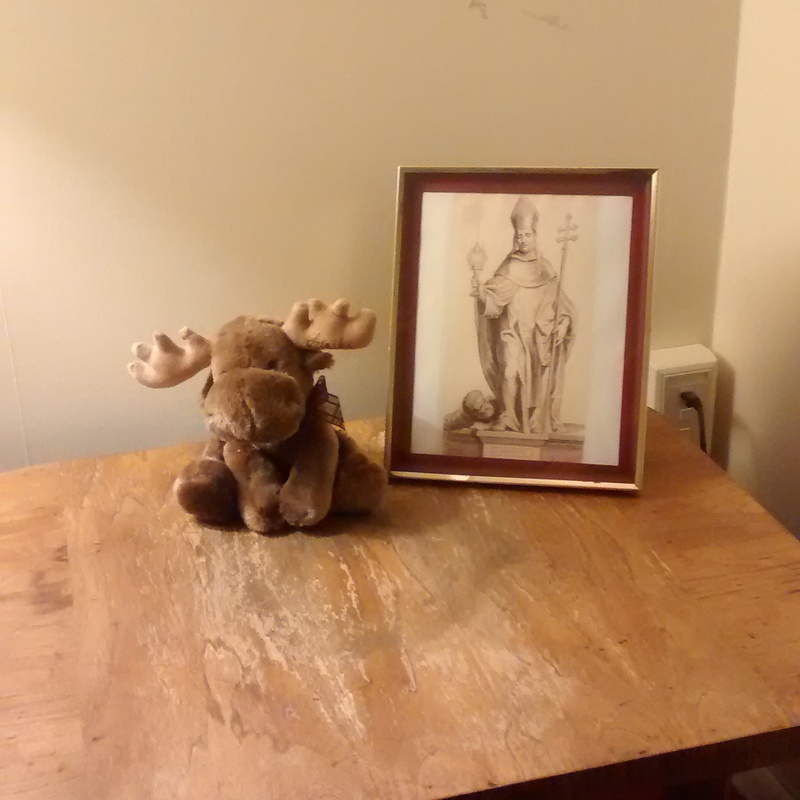 Upon my arrival to my room, I found that the Dominicans shared with me a picture of St. Norbert and this moose….my first moose sighting here!! !